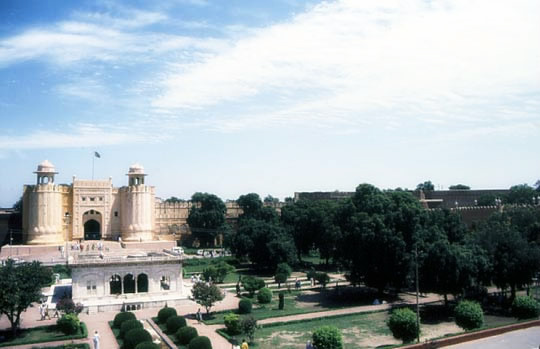 Lahore is a major city in Pakistan that is the capital of the province of Punjab. 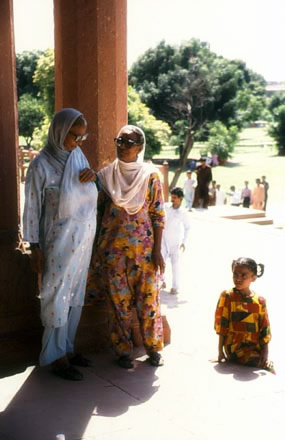 A native of Lahore is called a Lahori. It is located near the river Ravi and the Indian border. 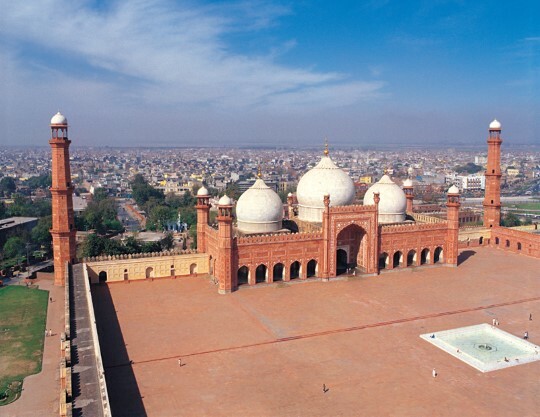 Lahore has 6.5 million inhabitants and thus is the second largest city in Pakistan ( Karachi being the largest). It is considered to be the 23rd largest city of the world . 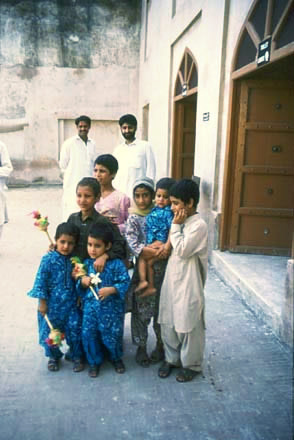 Punjabi is the language of the province, and is the most widely spoken language in Lahore. Punjabi spoken by the people of Lahore is known as ‘lahori punjabi’ due to a mixture of punjabi and causual/slang urdu spoken in Lahore. 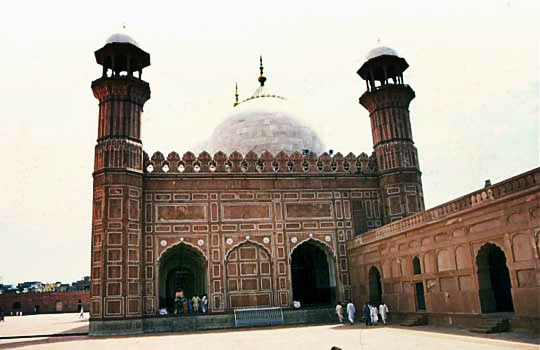 The Badshahi Masjid, literally the ‘Royal Mosque ‘, was built in 1674 by Aurangzeb . 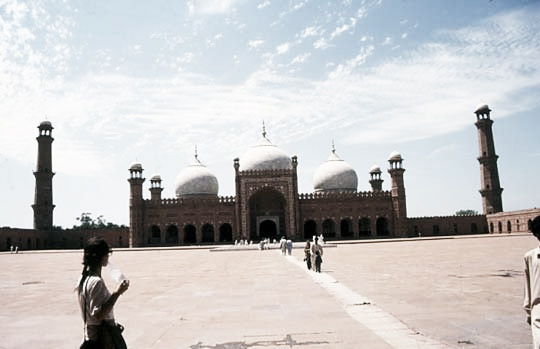 It is one of Lahore ‘s best known landmarks, and epitomizes the beauty and grandeur of the Mughal era. 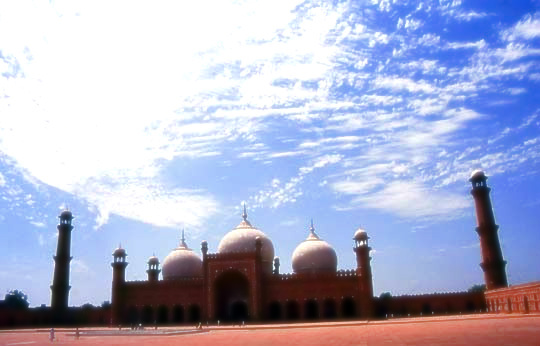 Capable of accommodating 50,000 worshippers, it is the largest mosque in Pakistan . 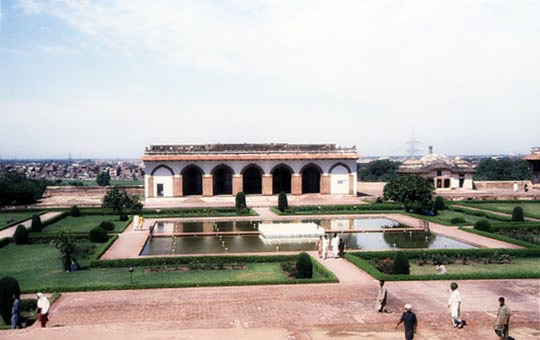 The Lahore Fort , locally referred to as Shahi Qila is the citadel of the city of Lahore , in modern day Pakistan . 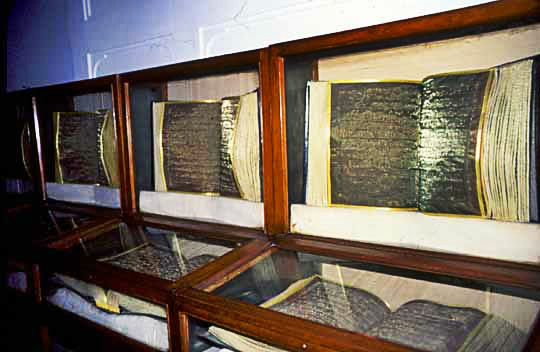 It is located in the northwestern corner of Lahore’s Walled City . 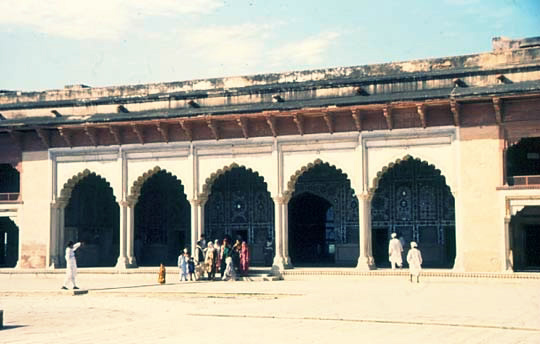 Some of the famous sites within the fort are: Sheesh Mahal , Alamgiri Gate , Naulakha Pavilion , and Moti Masjid .